Home Features Joint Chambers to run out of letters? Joint Chambers to run out of letters? 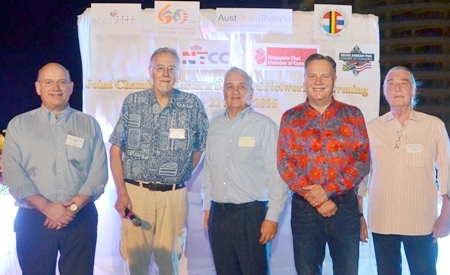 BCCT (British Chamber of Commerce Thailand), in collaboration with AMCHAM, AustCham, Belu-Thai, GTCC, NTCC, STCC and SATCC invited the chamber members to a Joint Chambers Eastern Seaboard Networking Evening at the Centara Grand Mirage Beach Resort Pattaya. 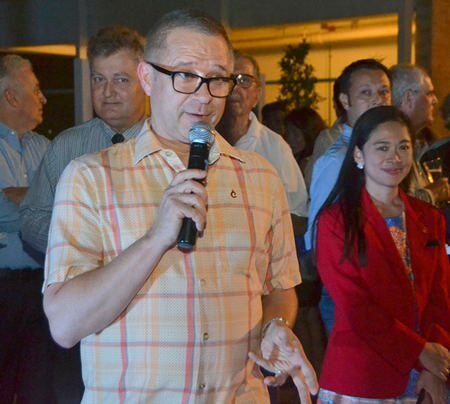 This event coincided with the BCCT’s 70th anniversary of its presence in Thailand. This event was kindly sponsored by ISS, Brighton College International School Bangkok and Centara Grand Mirage Beach Resort Pattaya. I don’t normally begin a report with mentioning a sponsor, but ISS did a sterling job of showing just what they could do, from cleaning, security, support and property. (I need ISS at home!) They handed out sensible business cards which highlighted just what ISS offers and an excellent give-away bag with good quality notebook. Thank you Narumon Tan and the ISS group. 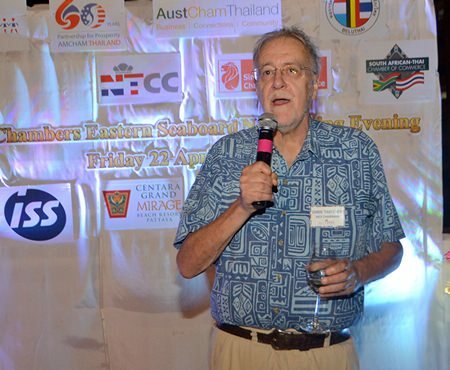 Chris Thatcher, vice chairman of BCCT welcomes members and guests to the monthly Joint Chambers Eastern Seaboard Network event at Centara Grand Mirage Beach Resort Pattaya. Being a BCCT organized evening, the wines were quaffable and the Heineken beer very appropriate for the warm evening on the 19th floor of the Centara showpiece. Making sure people did enjoy themselves were BCCT Chairman Simon Matthews (in a red floral shirt obviously left over from Songkran), Chris Thatcher, Vice Chairman of BCCT, and Greg Watkins, Executive Director of the BCCT. 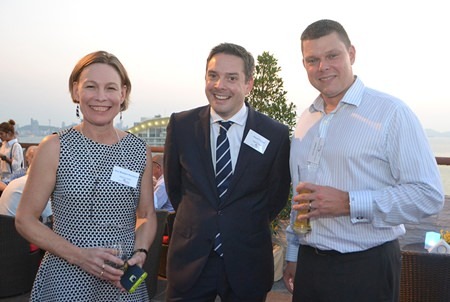 (L to R) Kim Meaden-Kendrick and David Tongue from Brighton College, and Carl Duggan, Area General Manager-Centara Grand Pratamnak. Another of the sponsors was Brighton College in Bangkok, represented by the Headmaster David Tongue and the Registrar Kim Meaden-Kendrick. The different chambers brought some new faces to the event such as Marcus Magiar from Leschaco, seen chatting (in German) to Markus Wehrhahn, the MD of the recruitment people RLC. 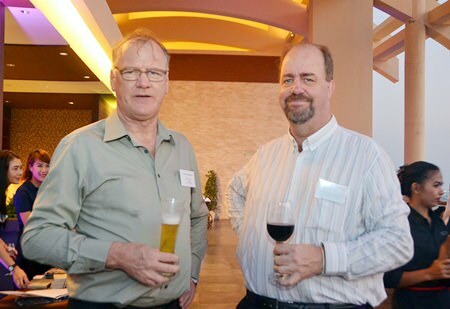 A welcome returnee was Richard Prouse, the Director of Expat Health Cover in Chiang Mai. 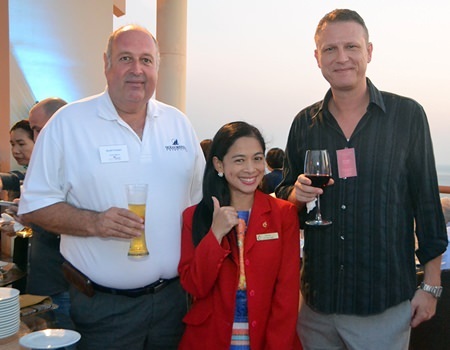 (L to R) Scott Finsten, the Harbor Master at Ocean Marina Yacht Club, Sunee Robinson, PR Manager of Centara Grand Mirage Beach Resort Pattaya, and Jonas Sjostedt, GM of Centara Pattaya Hotel. Leading the American charge was David Nardone, who, as always, is happy with the direction his business is going. The AFG (Automotive Focus Group) was well represented with President Frank Holzer, assisted by ‘gorgeous George’ Strampp and Armin Walter. Clive N. Butcher, Highfield Equity and Graham Brain, Executive Director of iCare Benefits Thailand Co., Ltd.
Scott Finsten, the Harbor Master at Ocean Marina Yacht Club is one of those gregarious chaps who seems to be everywhere, as was Richard Gamlin, EAM at Amari, with Max Sieracki, GM of some Amari Nova properties, and Carl Duggan, GM of numerous Centara properties, along with Andre Bruilhart, the GM of the Centara Grand Mirage Resort. Numbers were down somewhat, but being the week after the dreaded Songkran, that may be one reason. Andre Brulhart, Area General Manager welcomes everyone to the Centara Grand Mirage Beach Resort Pattaya, and invites all to partake in the buffet table. 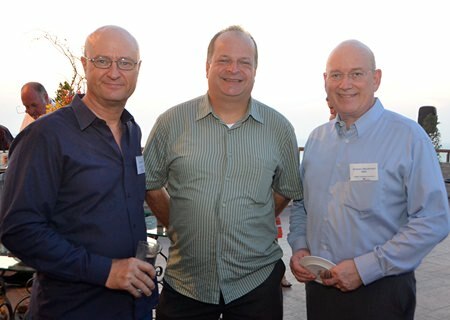 (L to R) Neil Farrell, Elastomer Products, Greg Watkins, Executive Director of BCCT, and Graham Macdonald, MBMG Managing Director. 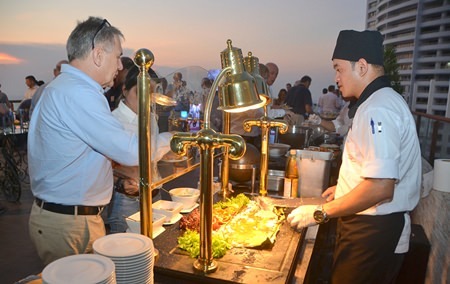 A delicious spread of food and beverages from Centara Grand Mirage Beach Resort Pattaya was put on for members of the Joint Chamber Eastern Seaboard Networking Event. (L to R) Dr. Iain Corness, Carl Duggan, Area General Manager-Centara Grand Pratamnak, and Richard Prouse, EHC Asia, pose for a photo with Kim Meaden-Kendrick and David Tongue from Brighton College. 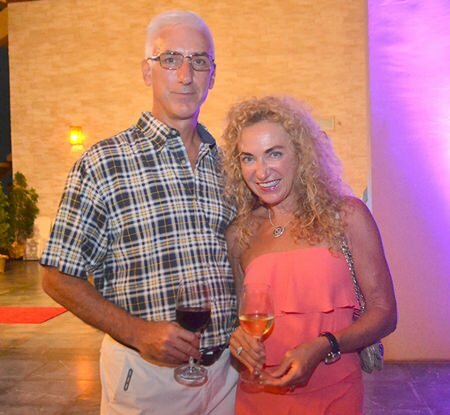 Jeffrey Gaudiano, Managing Director of BMW Group Manufacturing Thailand, and Irene Schuermann. 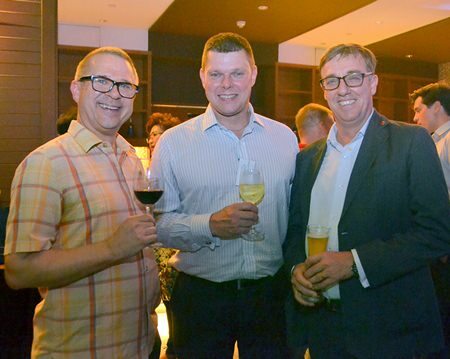 (L to R) Andre Brulhart, Area General Manager of Centara Grand Mirage Beach Resort Pattaya, Carl Duggan, Area General Manager-Centara Grand Pratamnak, and Amari Pattaya Resident Manager Richard Gamlin enjoy their evening. 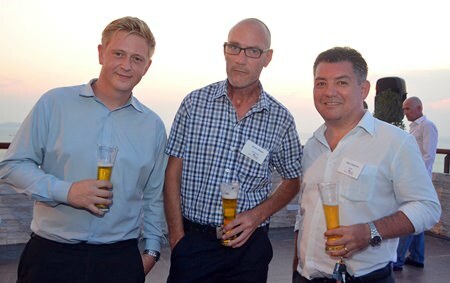 (L to R) Ben Doherty, Armin Walter, Business Development Manager of CNC design, and Mark Bateman from PRTR. 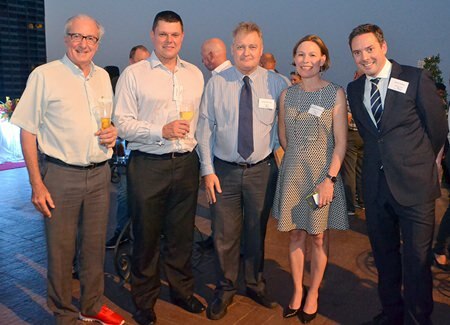 (L to R) Graham Macdonald , MBMG Managing Director, Chris Thatcher, vice chairman of BCCT, David R. Nardone, president and CEO of Hemaraj Land, Simon Matthews from Manpower, Helmut Buchberger, ABC Asian Business Consulting.